None of the visas issued by a fake U.S. embassy that operated abroad for almost a decade were used to enter the U.S., the Department of State claimed Monday. 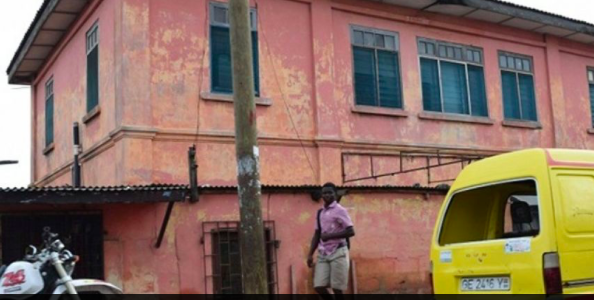 After nearly 10 years in business, a fake U.S. embassy in Accra, Ghana, was shut down this past summer, the State Department revealed last month in a press release. The Department reportedly discovered the operation earlier this year through an informant. “This was a criminal fraud operation masquerading as a U.S. embassy,” Department of State Deputy Spokesman Mark Toner explained during the daily press briefing Monday. An organized crime gang consisting of Turks and Ghanaians ran the embassy for years. They flew the American flag outside the “embassy” every Monday, Tuesday, and Friday from 7:30 a.m. until noon, hung up a portrait of President Barack Obama, and issued counterfeit documents for the price of $6,000. The operation used several expired visas in foreign passports to produce counterfeit visas. Toner said that the fake embassy operation ultimately failed. “It’s very, very hard to counterfeit a visa these days,” he explained. Real visas are highly secure documents that are very difficult to duplicate. “To our knowledge, no visa obtained through this operation was used to enter the U.S.,” Toner remarked. “The visas were pretty poor quality,” he said. Toner noted that the poor quality of the visas is probably what deterred people from attempting to enter the U.S. with a fake visa. Toner’s response did not sit well with one reporter present at the briefing. “You don’t believe that anyone ever tried to use any of these … that these people who didn’t have the perceptive qualities to realize they were walking into a fake U.S. embassy and then paid that fake U.S. embassy were then able to discern on their own that the visas didn’t look good enough, and so they decided not to try … that just seems so wholly unrealistic, it cannot be possible in this universe for that to be true,” the reporter said.